Establishing, maintaining and managing PharoPharma Pharmacovigilance (PV) system. Has access to the pharmacovigilance system master file (PSMF) and he has the authority to ensure and verify that all the contained information is an accurate and up-to-date reflection of our PV system. 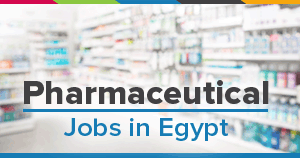 Preparation, revision and responsible for submission of All Pharmacovigilance documents (PBRER, RMP, ACO, DHPC) to the Egyptian Pharmaceutical Vigilance Center (EPVC) within the specified timeframes. Committed to EPVC meetings and in responding to all EPVC's requests including provision of correcting or completing information. Deliver trainings and mentoring Pharmacovigilance staff. Deliver trainings to customer facing non-PV staff on the perfect way to collect Case Safety reports and report them to PV team within the specified timeframe. Graduated from faculty of Pharmacy. 3-5 years of Pharmacovigilance experience. Finished all related PV training courses. Very good Computer skills (Microsoft office and internet searching). Stick to tight deadlines and work under pressure.